Over the years, I've noticed that railtours seem to come in waves - there will be years where there are endless opportunities and you're kicking yourself for having to choose between them, then there are years where long weeks seem to go by without much of interest. So far, this summer seems to indicate that this year will be the latter. So while there are interesting things ahead, I'm once again making my own railway entertainment for a few weeks. This is no small feat - advance tickets aren't always easy to come by at this time of year, when living in the south west has it's premium costs. But, wanting to do something at least purposeful with my time, I decided to try to travel on some of the few remaining loco-hauled services. This week, repeating a trip from last summer in fact, was Great Yarmouth. As ever, once I'd changed to the Paddington train at Weston-super-Mare, I had a fairly leisurely ride up to London. The weather was looking reasonable despite dire warnings, and I was feeling pleasantly relaxed with an interesting trip ahead. I'd assumed that the Circle Line would be out of action - and sure enough it was, so I wandered out to the usual bus stop to get whatever turned up heading for Liverpool Street. The ongoing works on the sub-surface lines seem to coincide strangely with my the weeks I travel to London, but nowadays I'm happy enough on the buses anyway. The first suitable service to turn up was a No.23. Decided to go for it, and ended up having a few fraught moments as we crawled along roadwork strewn Oxford Street and into the West End. Crossrail works were getting in the way everywhere, and red lights seemed to pop up everywhere. Despite having left plenty of time, I began to wonder if it would be long enough? Once past Ludgate Circus and into the city however, the roads emptied and things speeded up. Into the station in good time to buy provisions and wait by the gate for the train to be announced. Last year's trip was a little before the start of the summer holidays, and the difference was clear - the train was much busier today with loads of ill-governed children running around in First Class. Headphones in, I managed to block out the noise and relax as we sped by the Olympic Park, with Anish Kapoor's sculpture beginning to take shape. Soon out into open countryside and dozing a little in the warming morning. At Norwich, watched the scramble for photographs as 47810 shunted onto the train. Resolved to get mine at the terminus, as it was getting busy out there and I didn't want to lose my seat. Settled in for the run over the flat, empty route via Reedham and into Great Yarmouth. Time for some pictures here, and a snack from the buffet bar which has now moved from it's caravan into the old newspaper stall. Then out into the sunshine to wait for the trip back to Norwich, and then London. Decided on a 205 bus back to Paddington, and again time wasn't on my side as I'd arranged to meet an old friend at the station. Need not have worried as the tube works tangled her up too, so I was able to stumble around looking for the relocated bus stop - due to yet more roadworks near Liverpool Street - without too much concern. The day had turned bright and hot here, and waiting on London Wall, watching the world go by was a very pleasant way to pass a few minutes. The bus journey, one of my favourites, was entertaining as ever and delivered me to my appointment in good time. So, today felt like a relaxing, low key and successful way to spend a Saturday. A new engine, old friends and a chance to get out into the sunshine and discard the frustrations of a working week. The railtour scene might be a little stagnant and frustrating now, but these trips more than compensate. There is a school of thought, not entirely unsupported I've noticed, that there are far too many bearded young acoustic musicians around the place just now. As a bearded, not-so-young failed musician, I'm pretty careful how far I agree with this sentiment. But while there certainly are a lot of singer-songwriters plying their trade just now who probably aren't going to break the mould, there are some truly talented individuals among them who deserve to be heard. One such musician is Esperi, a name applied to the largely solo efforts of Chris Lee-Marr. Chris is likely one of the hardest working musicians in Scotland too, playing virtually non-stop in any venue he can find - often with equally remarkable compatriots such as RM Hubbert - and apparently just as happy to turn up and play in your living room if it means he's getting heard. As reported here, I caught his live show in Glasgow last year, and was instantly snared by his mix of thoughtful acoustic songs and more expansive, experimental efforts. This EP puts this endless live work in context by collecting virtually all of Esperi's recorded output to date in a neat package alongside a couple of newer pieces. From the very first notes of the record it's clear that Esperi isn't just going to be content to sling a few chords together and whine about how bad things are. Each of these songs is a miniature and considered epic - consciously designed, carefully crafted and given just the right amount of embellishment to shine. "Dialled" has a winding, almost jazz-influenced rhythm section which twists and turns through the song while light touches of the drums are barely audible under the delicate acoustic guitar playing. Chris' voice is clear, soft and engaging - delivering the sometimes homely and often surreal lyrics in a warm, Scottish burr. It's a simple enough tune but it's far from fragile, as it builds towards an epic finale - a swift change of timing and the gentle patter of drums gains a little force to support a huge swell of keyboards. As a Christmas single last year, Esperi released a brace of winter themed tracks in an absurdly limited and rather fantastic knitted cover. The first of these, "Made for Life" echoes Esperi live shows by introducing a range of other instruments including his trademark coloured plastic handbells. It includes one of those wonderful but all too rare heart-swelling moments too, when a sudden spiral of strings rise from the simple, quiet guitar backdrop and transport the song. 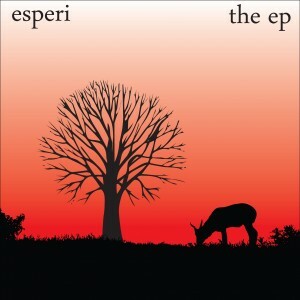 But there is nothing over-egged or pompous here - it all fits into the warm, human world of Esperi's lyrics comfortably. This is likely my favourite song ever about knitwear - with apologies of course to Aidan Knight - and certainly the best song mentioning armpits currently in my collection. The companion piece is "Snowman" - a remarkably simple acoustic guitar tune, made truly wonderful mostly by the vocals, including a quiet but effective supporting voice from wife Cat too. It's a tiny, sad lament for an impassive and ultimately melting snowman - but manages to avoid being twee or silly by having a genuinely affecting air and a tune which just won't shift from your head. An Esperi live performance has to be seen to be believed - but "Takkat" is possibly the closest you're likely to get on record, as all kinds of toy instruments, loops, gentle beats and disconnected voice samples float in and out of a soundscape which is constructed around an organ drone and tinkling bells. If it sounds busy and complicated on record, it's even more bewildering to watch in person as Chris dashes from instrument to instrument, programming and reprogramming as he moves around the stage, burrowing into his bag to seek all manner of odd things to make music with. "Takkat" is oddly addictive, complicated and clever - but threatens to be eclipsed by the EP's awe-inspiring closing track "My Tear Dissolved The View". When this appeared as a video earlier in the year it garnered all kinds of unexpected attention for Esperi. Taking it's cues from post-rock but far from sticking to the formula, a simple and glacially slow melody underscores all kinds of shuffling, competing shattered sounds. An almost imperceptible guitar line hides at the back, keeping everything together as the piece shimmers and twists around itself. As Chris and Cat's disembodied and unstable voices appear, so the tune starts to disappear slowly into silence. This is wonderful, genuinely moving music which is full character and impact despite - indeed perhaps because - it doesn't feature any recognisable vocal. This EP is far from just being a collection of pre-released and now hard to find gems - it's a little beacon of light in dark times. An honest, positive record which makes huge statements about hard work and craftsmanship - and which manages to be sometimes heartwarming and sometimes heartbreaking too. Esperi's music might appear simple on the surface, the attention to the tiniest details of the sounds he is creating reveal an uncompromising creativity. While this might seem too, like a record in two parts with the more experimental pieces grouped together, it genuinely does seem to form a coherent collection despite the sonic and chronological distance between the songs. This is a perfect soundtrack for the languid end-of-summer humidity, which will last long into the winter. And wherever you are, Esperi is almost certainly going to be playing near you pretty soon! Olive Grove Records release "The EP" on 4th August as a download, CD or as a limited edition felt-covered CD. Esperi appears next at The Lexington, London on 2nd August. It doesn't seem long ago that I was writing about "Deskjob" and stressing the point that whilst it was many things - indeed many very fine things - it certainly wasn't a Jonnie Common record. This album however, is exactly that. And despite his long association with the Scottish music scene - most notably as part of Down The Tiny Steps and Inspector Tapehead - it is in fact a debut solo release. It's perhaps this itinerant personality which the title "Master of None" hints at - as a jobbing reworker of others songs, a reliable band member who can turn his hand to a range of instruments, or indeed any number of other associations, Jonnie's name seems to be everywhere at times. Except of course, until now at any rate, on his own records. From the outset on the quiet "Heir To The Throne" the links to Jonnie's past work are evident. However, shorn of the complexities of a band, and left to his own devices it's a somewhat different delivery which follows. With a lyric which seems to hint at the lurid detail of the Kennedy assassination before exploring the genetic complexities of future fatherhood, this is a beautifully uncluttered tune constructed from vintage electronics and plucked guitar. On this opening track, Jonnie's voice is a low drone - but by "Infinitea" the tinkling percussion is hidden within a multi-tracked rant of a vocal which dips and dives around the melody. Jonnie seems at his most comfortable with this curious half-rapped, half sung approach which hints at both his own work in Inspector Tapehead and occasionally perhaps The Beta Band. Scots vernacular worn proudly on his sleeve, Common spits seemingly nonsensical couplets which resolve into perfect little haikus and curious observations with the sense of a living notebook or found snippets of conversation from people passing by. It fits wonderfully with the sometimes gentle and sometimes jagged tunes which are spun on "Master of None". "Shogun" is perhaps a touch more traditional, a gentle ballad with a contrastingly violent lyric in keeping with it's title. There is a sheen of electronics, including some dashes of old-time Casio demonstration tunes among the jingle and jitter. Mid-song things break down into a strange carnival-tune interlude while a battle-scarred Jonnie wryly observes that "loving you is like a martial art". As "Hand - Hand" begins I find myself thinking of Chris Knox as it's constructed around a weirdly percussive vocal loop much like his solo work and some of the Tall Dwarfs output. Meanwhile a funereal organ sets up among a mass of fantastically self-indulgent bleeps and beats, while a gruff, distant voice urges "Sing for us Jonnie!". And then he's off again, the straight-outta-Fife rapping notched up a gear as he ponders environmental responsibility with "when I leave this planet/I don't wanna leave a mess" alongside a curious question about whether horsehair is obtained from living animals or corpses? I'm going to need to do a little research now, just to be be sure. "Bed Bugs" keeps the lyrical pace up, as Jonnie delivers a full-on stream of consciousness rap among skittering electronic breaks and some pop licks which wouldn't have sounded out of place on chart hits from the 1990s. As a blogger who seems to have constructed this site around the weird interface between travel and music it's oddly satisfying to hear the rail service between two principal cities used to mark time and remind us how things rattle on despite our dramas, with the accurately noted "...but the trains keep doing it/Waverley to Queen Street every 15 minutes". There are more knife-sharp observations of life's strangely significant little moments in "Exit Stage Left", a short and uncomplicated tune built around a moody drone, crunchy static and lots of atmospheric bleeps. Jonnie's trademark ranting is imbued with a little hint of the monastic chant here too. If there is a sure-fire hit on this record, for me it has to be "Summer Is For Going Places" - a lazy, shuffling beat and a banjo with odd vocal samples looping through the ending. It's a lazy, summery swoon of a song about departures and homecomings, and it's one of the most assured vocal performances on the record too. The album closes with the epic "Photosynth", which was previously the star of a tiny 5" CD available at Homegame. Given Jonnie's pedigree, this is surprisingly perhaps the only entirely electronic track on "Master of None". Clattering beats, clunky old electronics and strange samples meld into a gorgeously warped backdrop. Meanwhile a stream of garbled lyrics trip out, often resolving into neat little sketches and impressions. Suddenly things fall silent for a minute or so, before a weird reprise arrives after a breakfast cereal commercial, based around the same beats with a truly low-budget keyboard finale. It's a fitting end to a strange, disorientating and unashamedly experimental record. With "Master of None" Jonnie Common has pulled off an interesting perspective trick, as things at first seeming small and distant are delivered close-up and large as life. These songs, constructed from tiny fragments of sounds, of tunes and ultimately of lyrics, become much bigger and fully-formed propositions once they've passed through Jonnie's hands. The range of approaches here, from almost straightforward folk songs to electronic epics demonstrates the man's talent admirably, and with this context it's a little easier to understand his contribution to previous releases with which he's been involved. But on this first brief and refreshingly simple selection of songs on his own terms, it's time for the man himself to step out from behind the mixing desk and take a bow. "Master of None" is often charming, occasionally unsettling and always surprising. 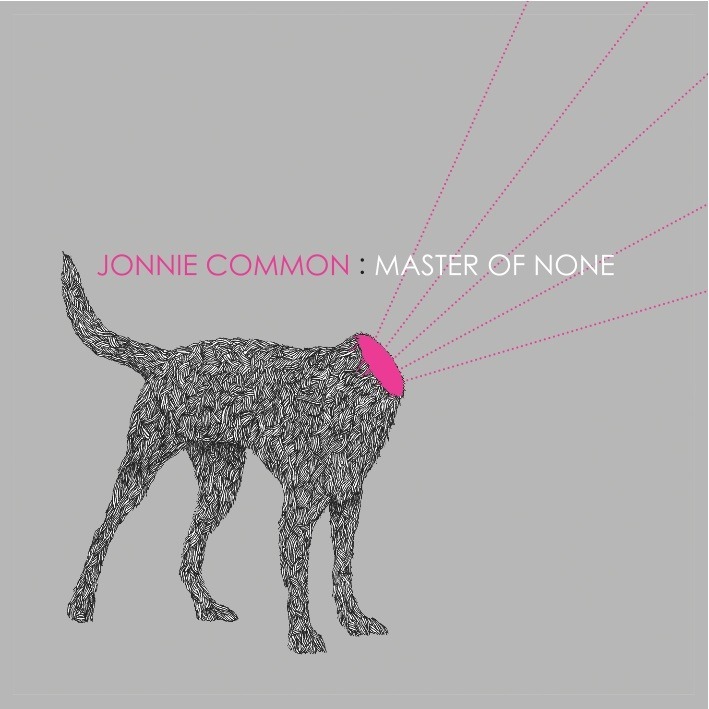 Jonnie Common's "Master of None" will be available as a digital download or vinyl LP on 1st August 2011 by Red Deer Club Records. A pre-release vinyl offer includes a full immediate download, and a CD-R featuring an alternative mix of the entire album. The album will be launched at The Captains Rest in Glasgow on 31st July. A lot has changed since I last did this trip in 2008. The roof at Derby Station is finished, leaving a brighter and slightly breezier concourse - and of course, at last, Peak Rail is reconnected to the national network at Matlock. With the first trains running a couple of weeks back, and the timetable now regularly serving the main station rather than the slightly remote Riverside terminus, I decided it was time to explore the line at last. Set out early, in no small part due to the need to get cheap tickets. I'd left booking this trip rather late, and thus instead of the through train at 07:30 I went for a change at Birmingham from the familiar 07:00. This meant time to breakfast and surprisingly a more leisurely start to the day in some ways. I'd also learned that there was to be a fairly large demonstration in Derby today about the decision to overlook Bombardier in favour of Siemens to build Thameslink units. I have mixed feelings about this one - and I didn't really want to crash into the demo, but happily the 08:49 unit from Birmingham was quiet, despite the presence of the strange chap who I often end up competing for a seat with! He'd been on the train to Bristol - and I confess my heart sank at the possibility of a confrontation. However, the 07:00 was facing the other way so he didn't bother me at all. He then popped up on this train, disappearing into the crowds at Derby. I wonder where he went? I, however, headed for the 09:50 to Matlock. This was a single car Class 153 a few weeks back I recalled, and it was again today. Decided to flag it if I couldn't get a seat, but did in fact manage to squeeze into a spot. A slightly tight, uncomfortable journey up the branch followed. At Matlock, did a little shopping in Sainsbury's before heading on to the Peak Rail platform. It seems that I was a little unkind in my assessment three years back, as the supermarket has helped immeasurably in the effort to restore the missing link. Had an early lunch on the platform, hearing that the 11:44 departure for Rowsley South was a little late as "Penyghent" wouldn't start and they'd "...had to get the 31 out". Happy with the substitution I waited with the growing crowd, with 68013 finally steaming in about ten minutes late, with 31270 rumbling away at the Rowsley end of the train. Found a seat, bought a ticket and enjoyed the slow trundle towards the Peak District, wishing that the line still went through to Buxton - or even as far as Bakewell which would afford visitors to Chatsworth with an alternative. Maybe one day. In any case, I enjoyed the rare Class 31 haulage to the terminus before hopping off to get some photographs. Noting the variety of diesels in varying states of repair in the yard, I opted to stay for a later departure. In the event, the decision was taken to swap a slightly poorly 31270 with 08016, so I got some pictures of the change over, before wandering around the site a little in the sunshine and enjoying a coffee. Finally, the train arrived and the small steam engine took us down the branch again to Matlock, with the Class 08 giving a little assistance too. An interesting little railway, with plenty going on despite it's short length of track. Noted a red-faced huffing steam enthusiast getting upset about not being allowed off the platform end at Matlock too. A ridiculous performance and a rather obvious restriction, given it's Network Rail property down there! My journey home was leisurely, with breaks for coffee, people-watching and enjoying the sunshine at Derby and Birmingham. Spotted a few banner-carrying protesters, heading quietly and calmly home at Derby and someone being asked to remove a placard from a train window - not because of any dispute as such but because as the Guard put it "...my boss will kill me!". I have a few weeks of these self-organised wanders planned before my next railtour epics, whilst the summer is sometimes busy and a bit fraught, some planning ahead makes for quiet, pleasant trips. Just like this one.